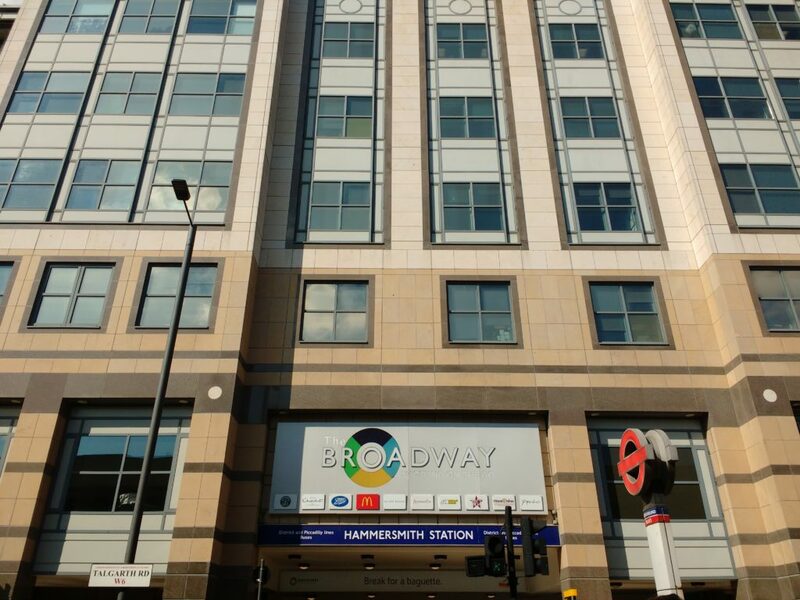 The Hammersmith Broadway Centre, rebuilt during the last 25 years, may now be considered the centre of Hammersmith. It serves as our main and central travel hub from which all destinations may be reached. 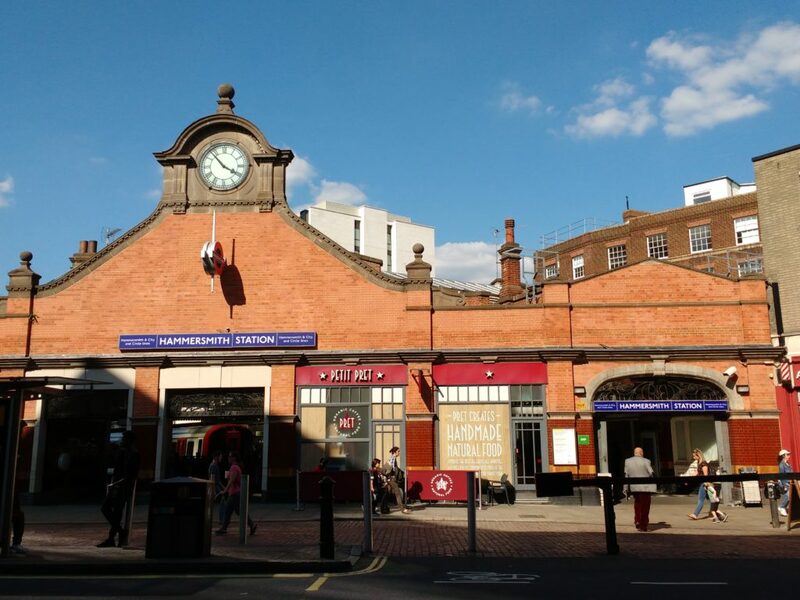 It combines the underground station – Piccadilly and District lines – with bus and coach station on two levels and just across the road is the terminus of the Circle and Hammersmith and City and lines. All of London, both inner and outer, and then much further afield can easily be reached. It also houses offices of major national and international companies. The Broadway Shopping Centre which has grown up with it, houses about 30 different shops about half of which can provide you with sustenance and nourishment – either to eat in or to take away for that special meal you were planning for the evening! The choice is really exceptional and quite outstanding with cuisines from all four corners of the world. The other shops all have dazzling window displays from cards, books, bric-a-brac, and speciality souvenirs; to optician, pharmacy, shoe repairers and currency exchange listed building. 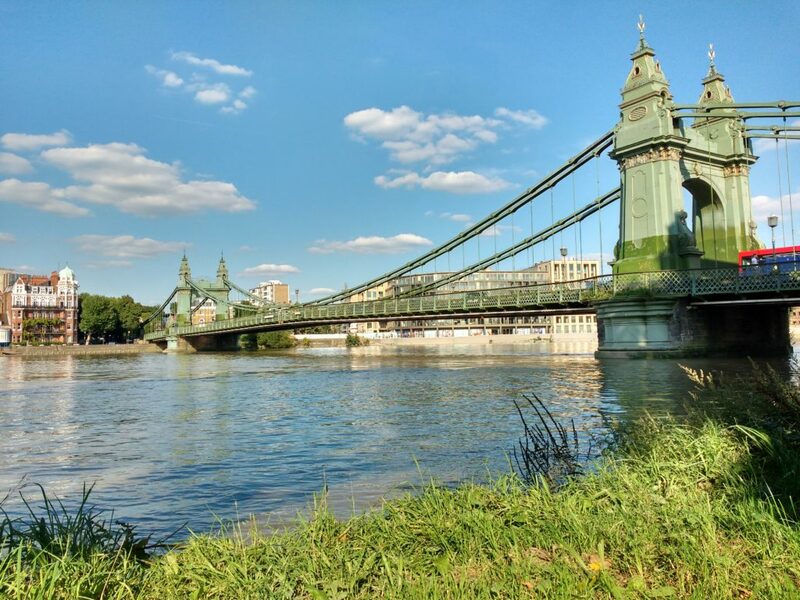 Hammersmith Bridge links Hammersmith on the north side of the River Thames with Barnes on the south side. The current bridge is the second bridge on the site and is a Grade 2* listed building. The original bridge, first sanctioned by an Act of Parliament in 1824, was the first suspension bridge over the River Thames. Construction costs were some £80,000 at the time and it was operated as a toll bridge and opened in 1827. In 1870 worries over upto 12,000 people crowding onto the bridge to watch the University Boat Race led to the building of a second bridge resting on the same foundations and was opened by the Prince of Wales in June 1887. 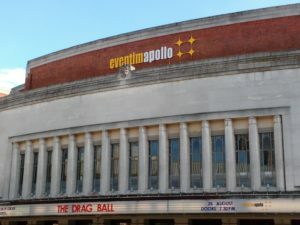 Continuing structural problems continued and led to refurbishment in 1973, and work during the 1980s/90s culminating in repairs necessary following a bomb attack in 2000. After this it was repainted to restore the colour scheme of 1887. (It was not the first IRA bomb attack – that was on 29th March 1939). The Boat Race is a rowing race between the Boat Clubs of Cambridge and Oxford Universities taking place along a tidal stretch of the River Thames. It was first held in 1829 and has been an annual event since 1856 (with the exception of the years of world war one and world war two). It was started by Charles Merivale from Harrow School, who went to study in Cambridge, challenging his old Harrovian school friend, Charles Wordsworth, to a rowing race. Wordsworth had gone to study at Oxford. Much more can be read about the colours and the early venues for the race. 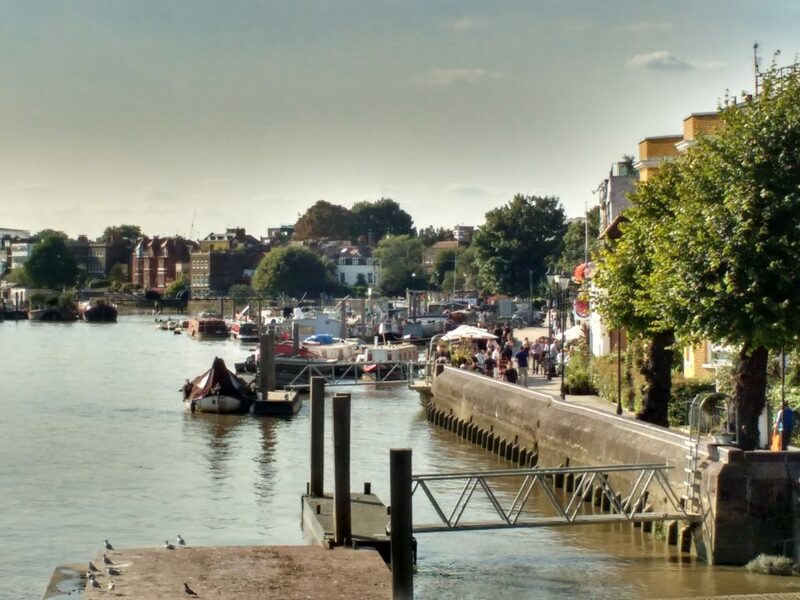 Since 1839 racing resumed on the Tideway, as the tidal part of the river is known, with the course starting from Putney Bridge; it covers 4.2 miles with the finishing line being the Chiswick Bridge. The race is therefore rowed upstream and timed to start on the incoming flood tide: the crews are racing with the fastest possible current. At the restaurant we try to do just that: celebrate the food. This means, amongst other things, that we source our ingredients with care; we intensify flavour by careful cooking and by combining ingredients in unexpected ways. We try to make our dishes as visually pleasing as possible; and we try and do this in a fun and relaxed way.